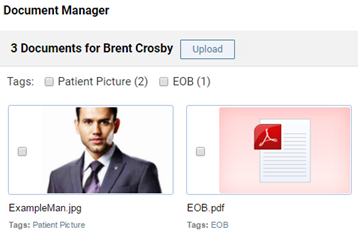 You can add a picture to a patient's record from an image file on your computer (or device), from the patient's document manager, or from your computer's (or device's) camera. 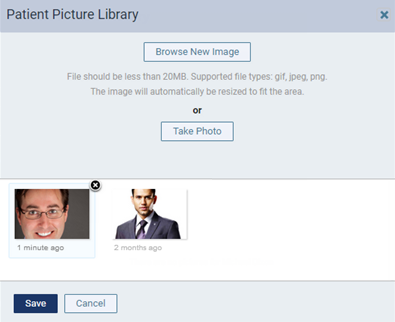 If you import an image file, it should be less than 20 MB in size and must be a .gif, .jpg/.jpeg, or .png file type. On a patient's Overview page, click (or tap) the patient picture icon on the left side of the Patient Information ribbon. 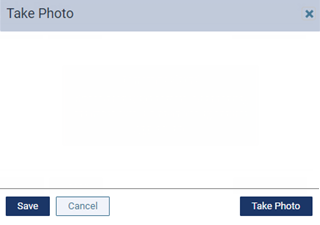 If the ribbon is not visible, click (or tap) the arrow button below the Patient Search box .